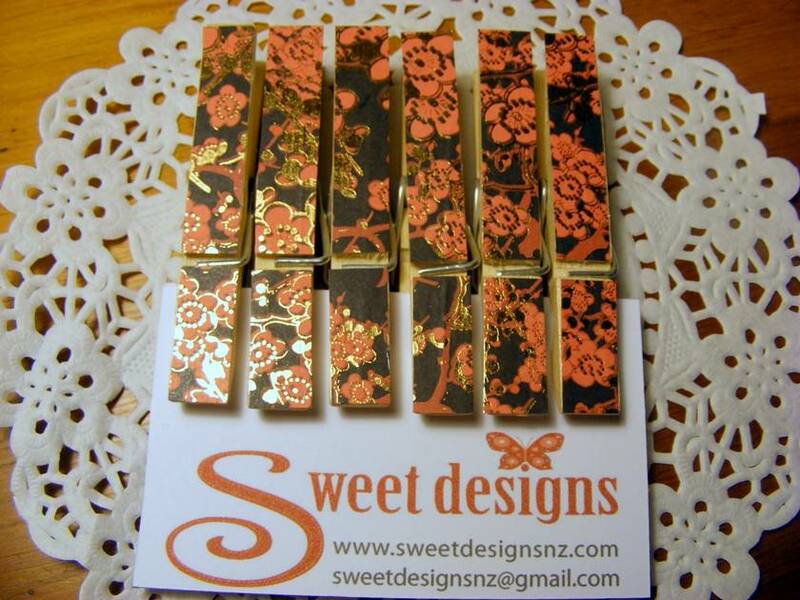 6 Wooden Clothes pegs, decorated with beautiful red Japanese Blossom paper with metallic embellishment, these magnets will help decorate your fridge and keep it organized at the same time. Great for magnetic notice boards in bedrooms or studies as well. Make great gifts for those tricky to buy for people or a lovely treat for yourself.